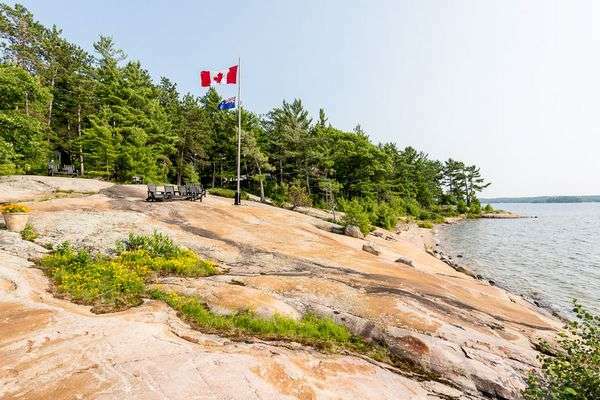 One of Georgian Bay's most storied 'Great Camps'! 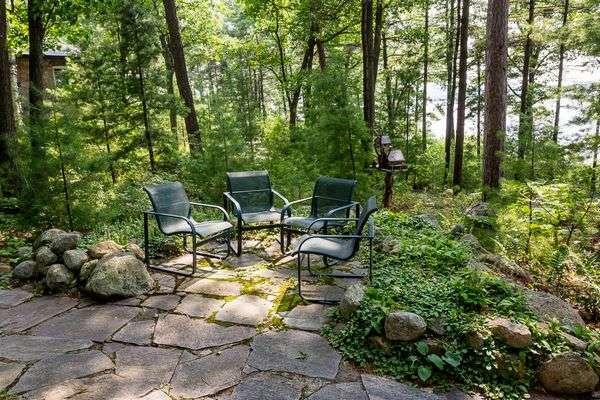 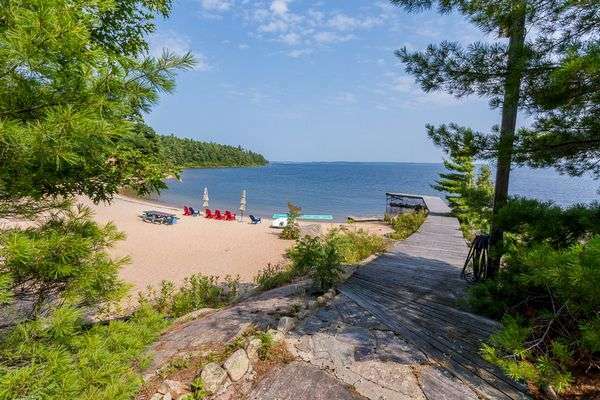 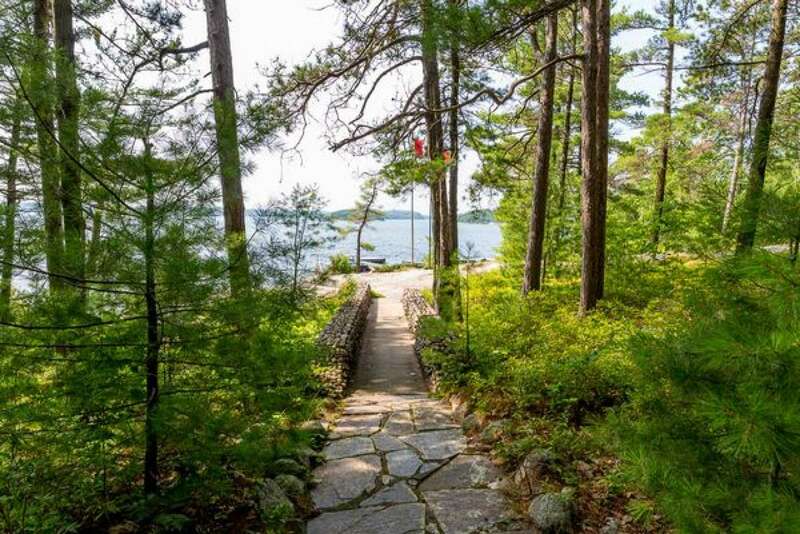 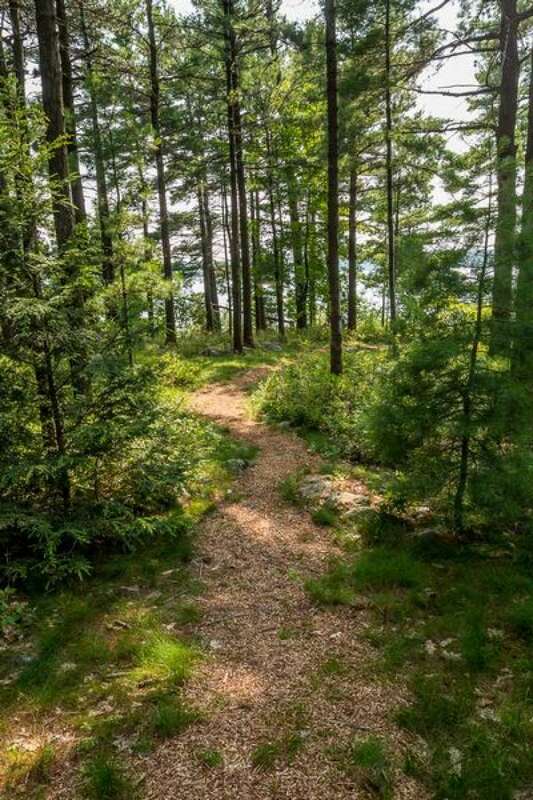 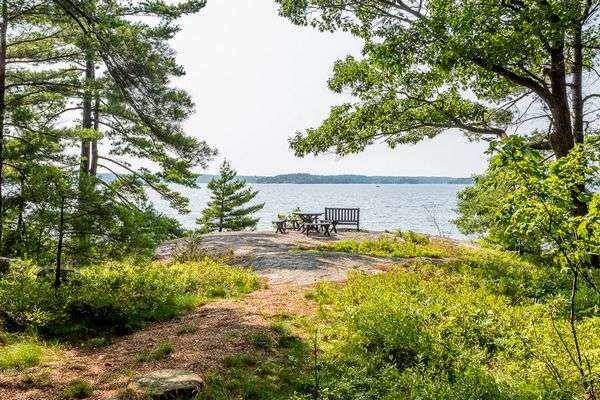 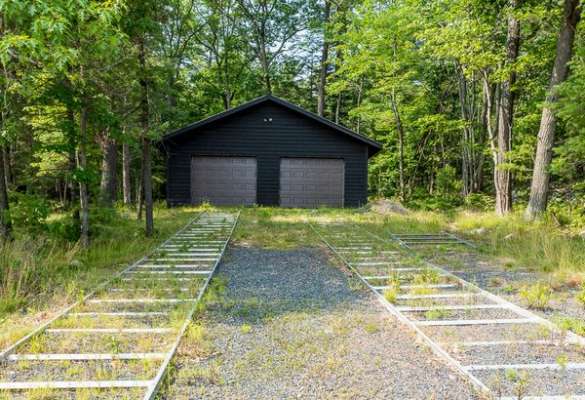 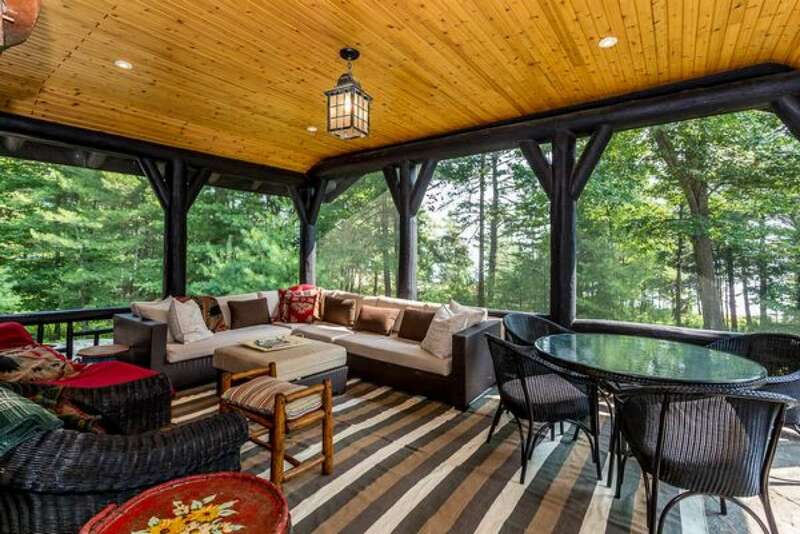 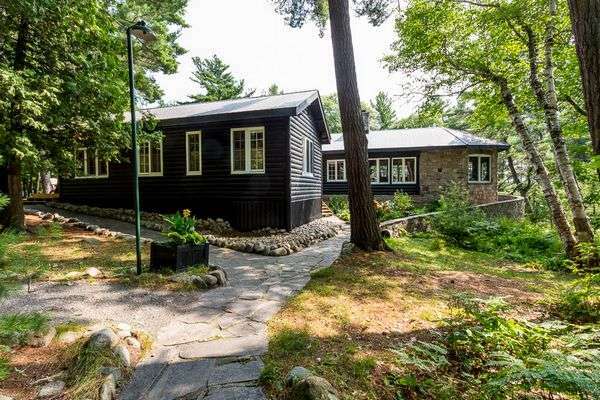 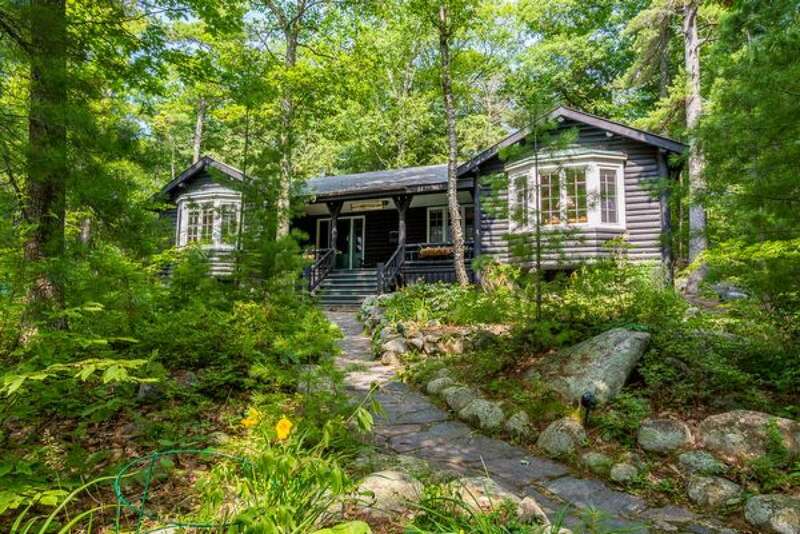 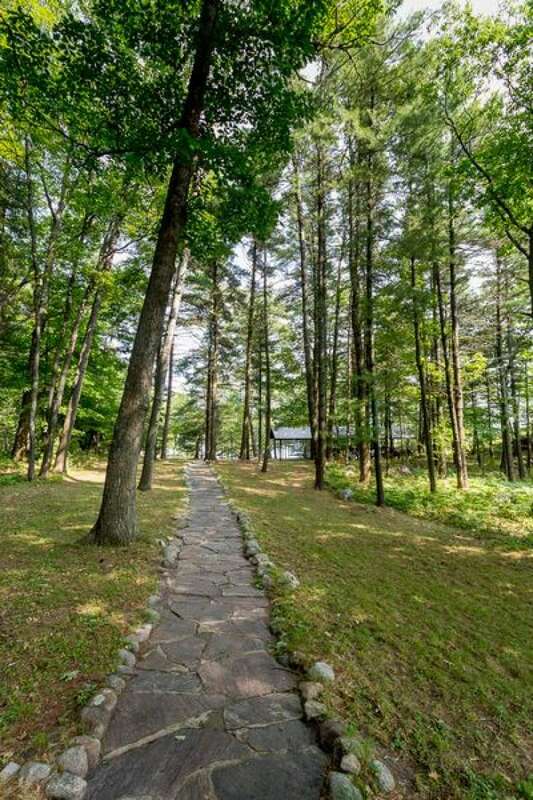 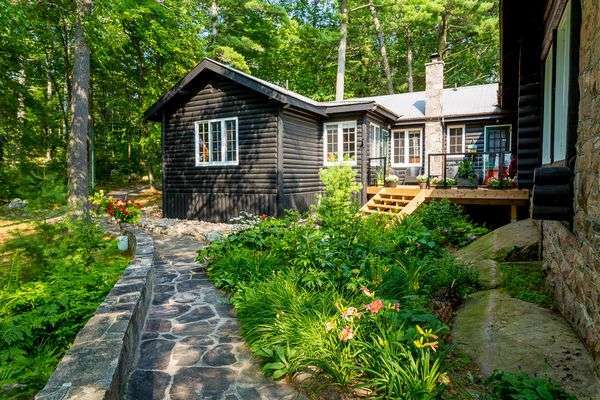 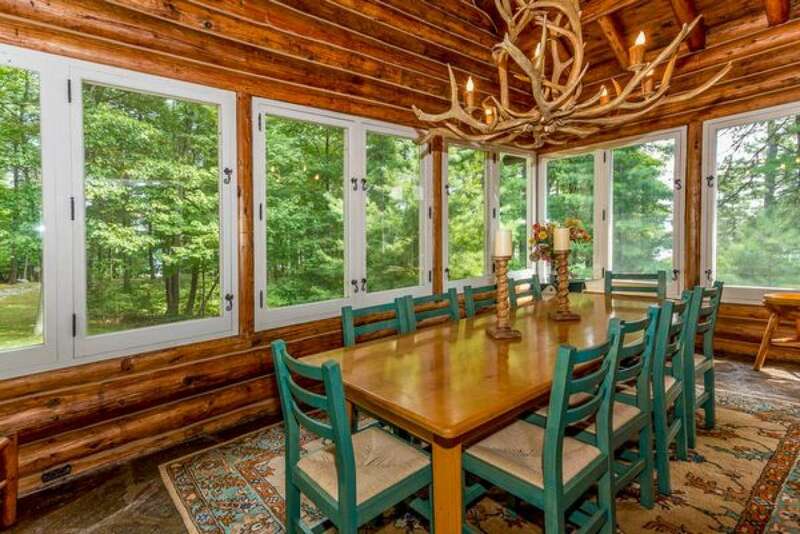 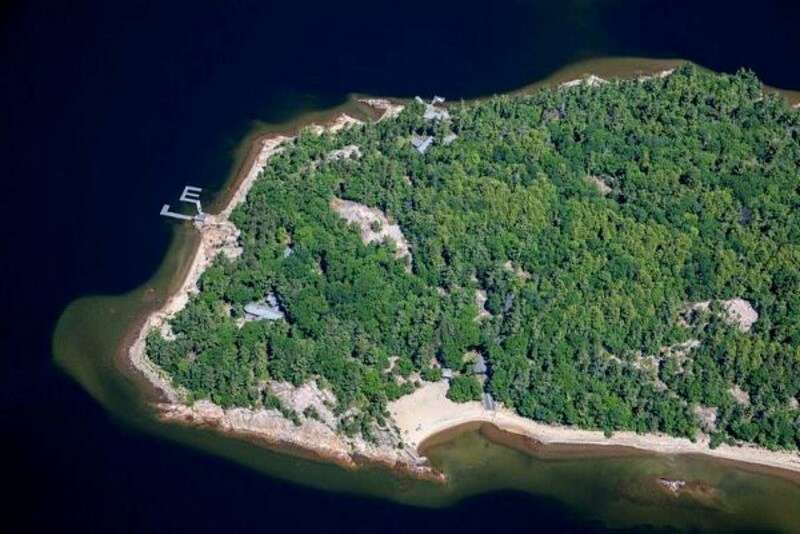 An 11.3 acre parcel on the north western tip of Mowat Island, this magnificent property was created in the 1930's and has been meticulously preserved and maintained by the current owners. Featuring all the elements typical of the Great Camp style; a spacious main lodge, with separate guest cabins and out buildings, the structures are all peeled round log and stone construction with open truss ceilings. 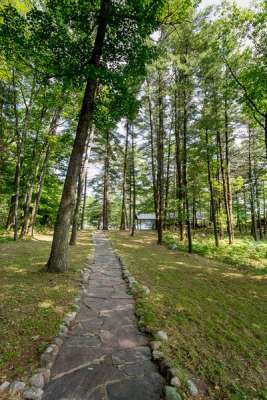 Man made and natural stone pathways link the structures and lead to picturesque outlooks and quiet nooks. 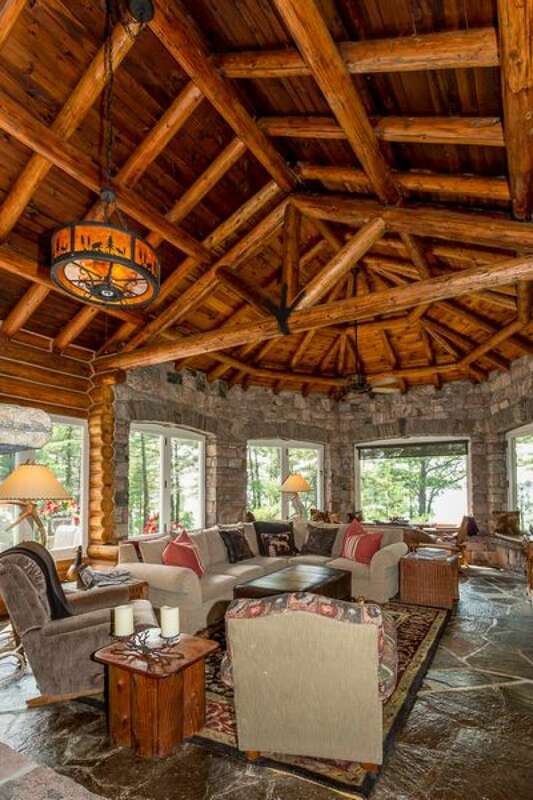 A massive two sided floor to ceiling granite fireplace anchors the ~3000 sq. 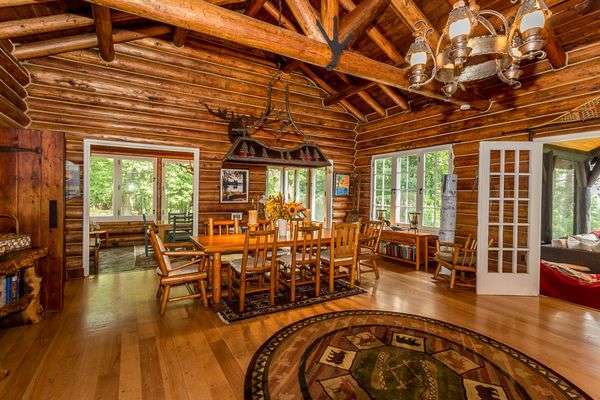 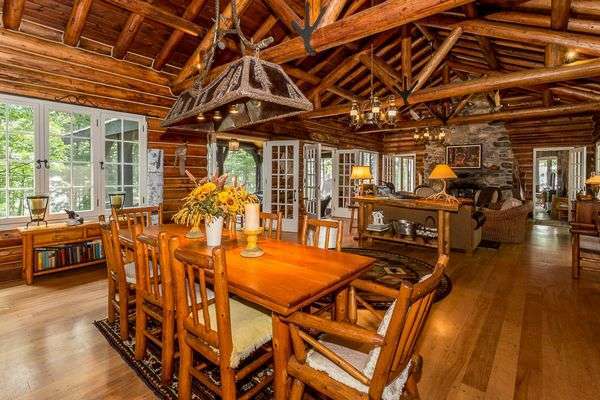 ft. main lodge and creates two separate living spaces. 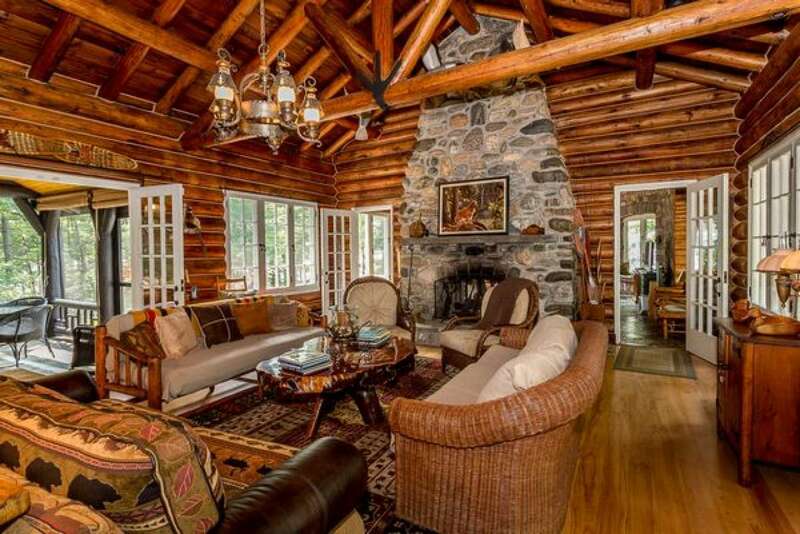 A large great room with dining and living area, a separate breakfast /sun room, a screened porch and two piece bath are positioned on the south side of the fireplace. 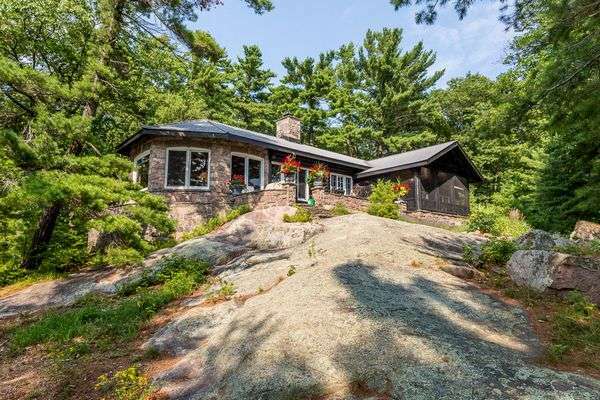 On the north side of the fireplace is a family room/ lounge and hexagonal solarium built from local granite. 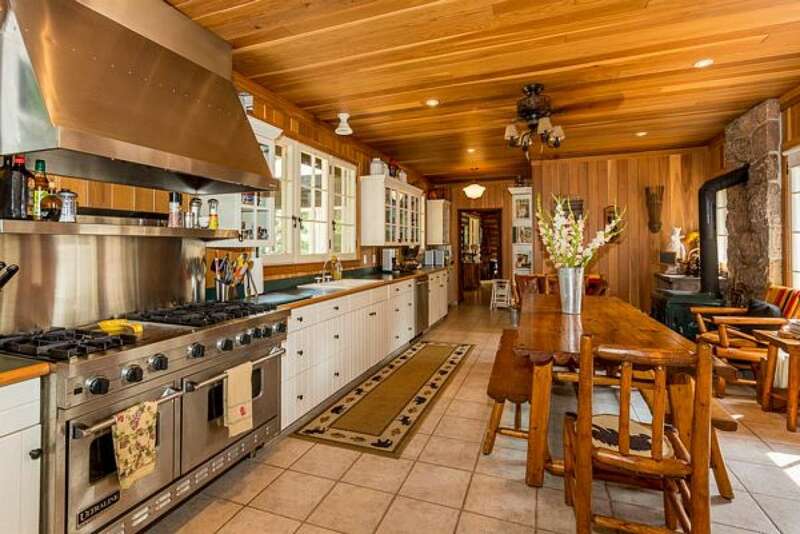 A large, well equipped kitchen off the dining area creates a link to the bedroom wing, with master bedroom and en-suite, laundry and utility room. 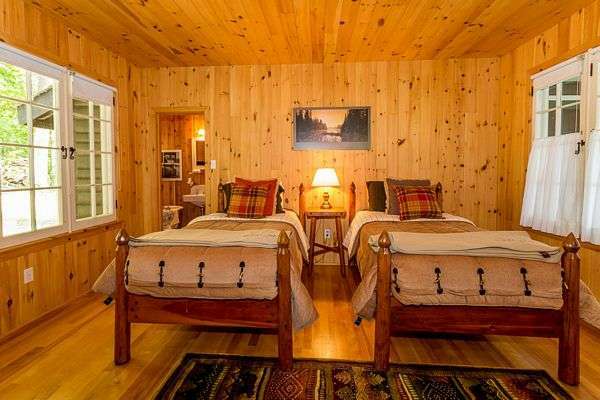 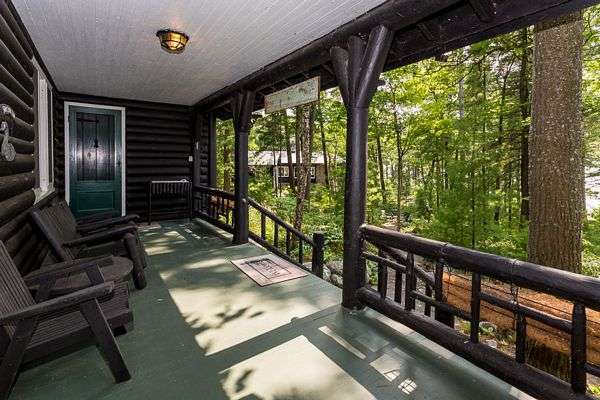 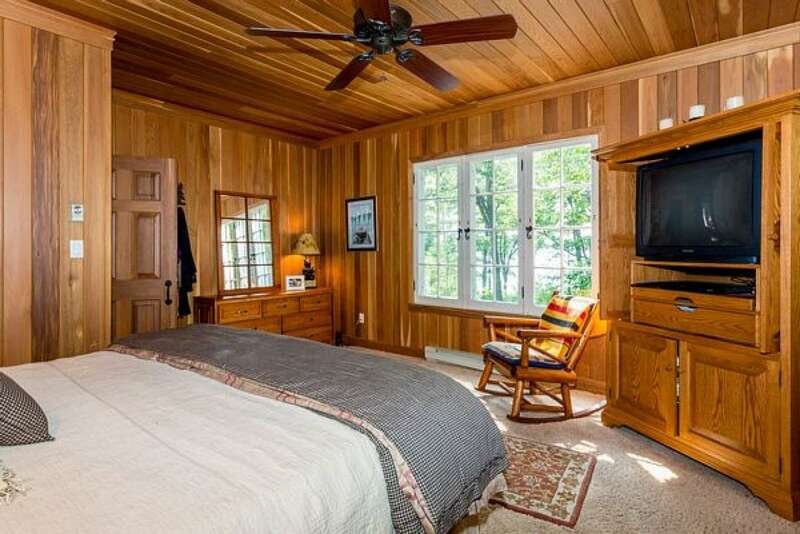 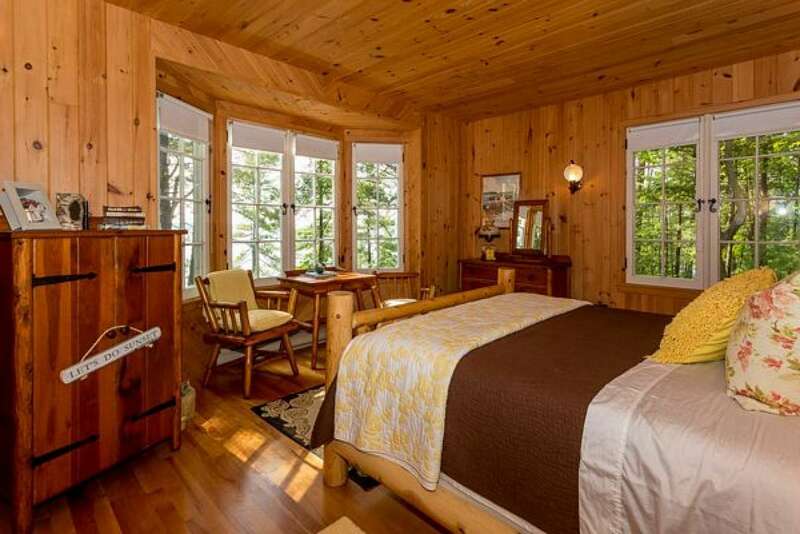 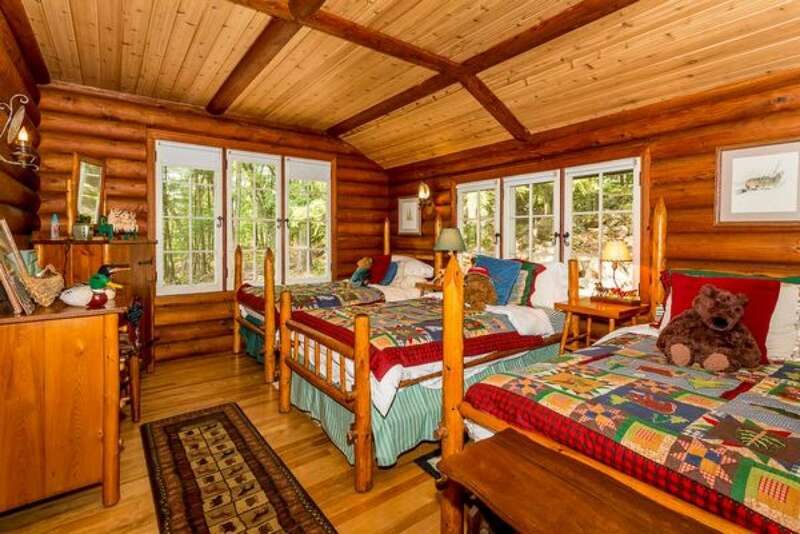 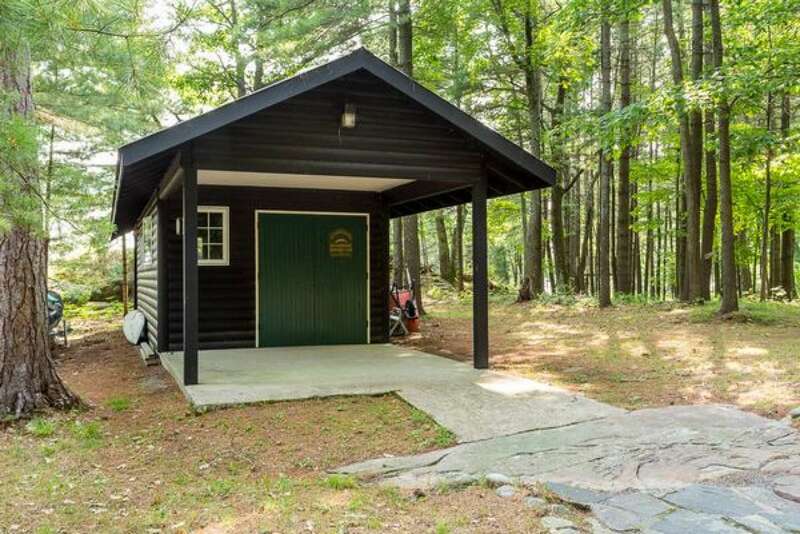 A short distance from the main lodge is a four bedroom 3 bathroom Guest Cabin, with covered front porch. 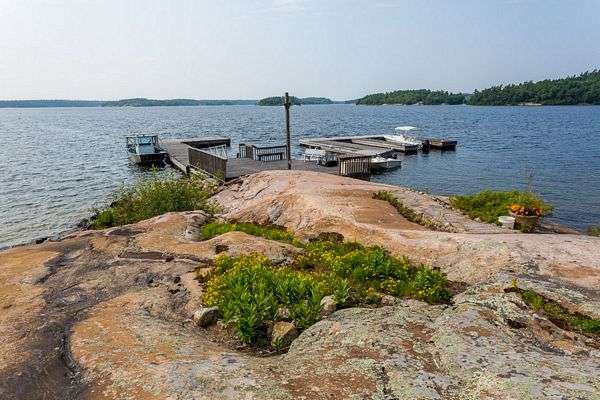 The harbour is positioned on the western tip of the property, and, on the southern shore is a stunning white sand beach with protecting jetty. A two bedroom cottage overlooks the beach and is just steps from the water. 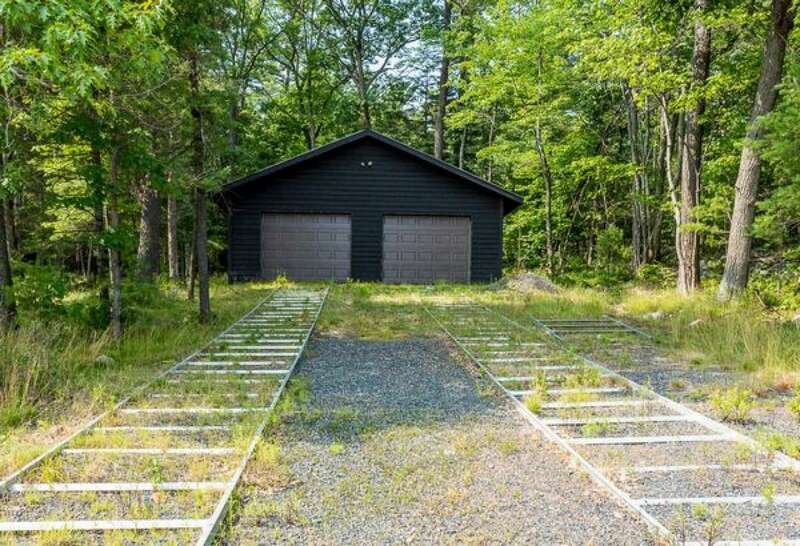 There are several utility buildings including a dry dock boat house and workshop/tool shed. This site was originally home to a grand Georgian Bay hotel operating during the glory days of passenger steamships plying the Great Lakes circa 1890's. 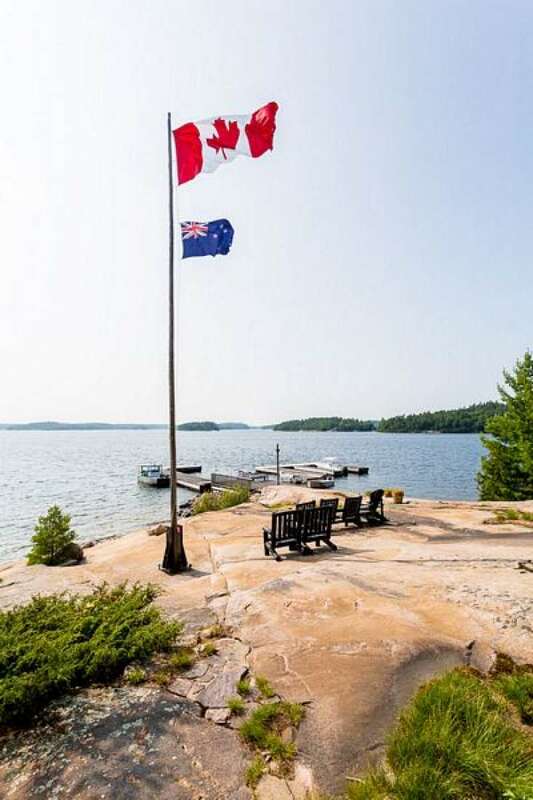 Arriving guests were greeted by a two storey boathouse with verandah, the boathouse later taken out by the 'Edmund Fitzgerald ' storm and the hotel was subsequently razed by a fire. In the 1930's the French family from Michigan purchased the property and set about creating their camp. Their architect had select Douglas Fir brought in from Oregon and hired the finest craftsmen and stone masons to build the present day main lodge. 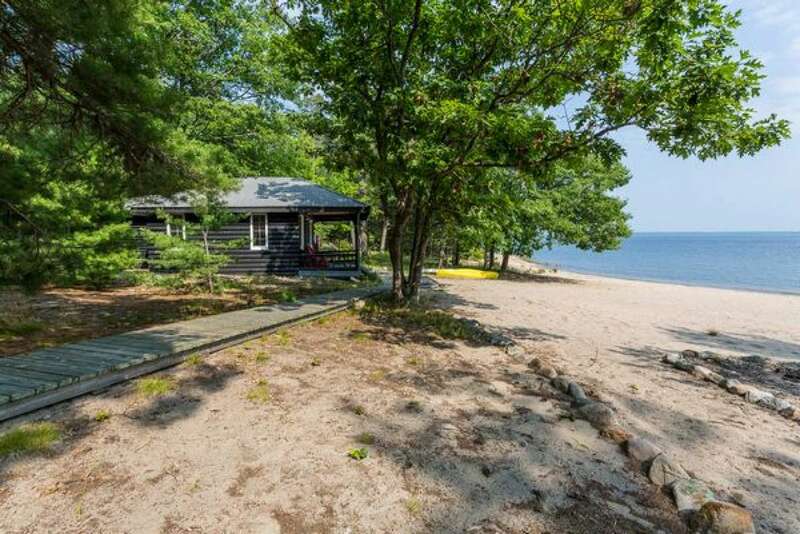 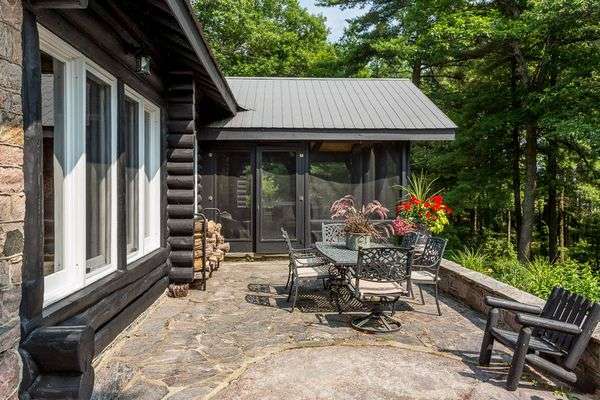 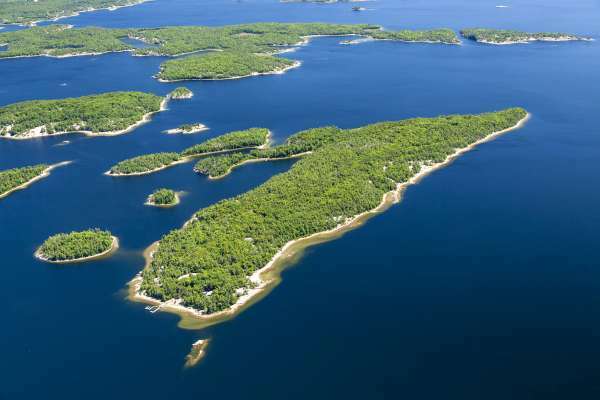 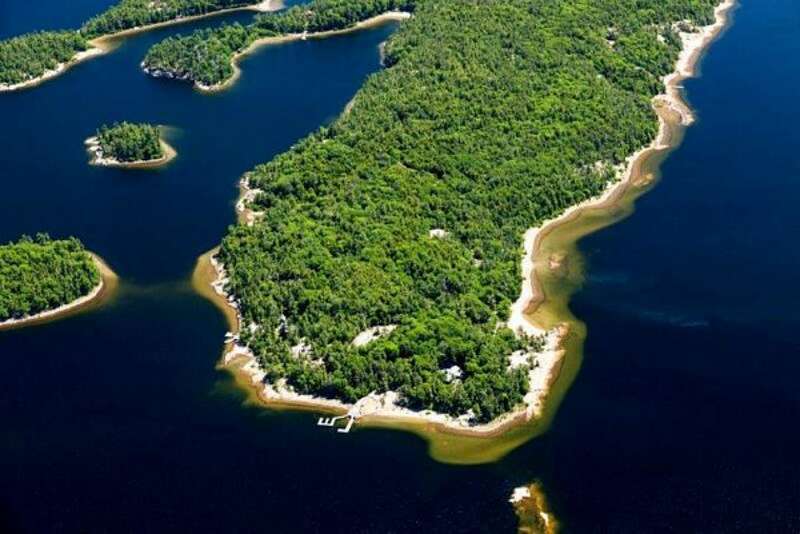 Mowat Island is situated off the Big Sound north of Parry Sound harbour, accessible via all the full service marinas in the Parry Sound basin, or a ten minute boat ride from Harrison Bay Marina.